Bring the wee gardeners out Sunday, February 10th for a morning or afternoon of creativity, plants and dirt! The best part… leave the mess with us! We want to share our love of plants with your wee gardeners. Join your child or grandchild to paint a heart shaped planter. 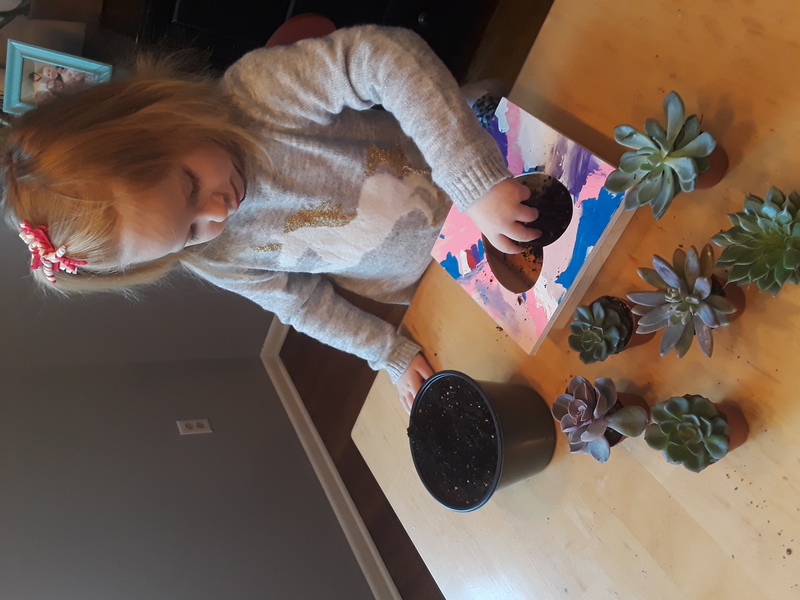 Wee gardeners will then choose one succulent from a selection of easy care succulents to plant in their painted container. Our wee gardeners head home with care instructions, and wonderful memories made with you! Class space is limited to 20 children per time slot. Adults are required to stay through the event with their wee gardeners.